Sarah Catherine Cosby, or "Katie" as she is called, was born to Ned and Amy Cosby on the 4th of August in 1977. Her dad was in the Coast Guard and then the ministry, so the family moved around quite a bit when she was young. She was a young teenager when her parents divorced. Thereafter she lived with her mother in Severna Park, MD. Her mother remarried, and Katie got a younger stepsister, Lauren. Soon thereafter Katie's best friend Natalie, who had problems in her own family, joined the family. The dashing young Kate. 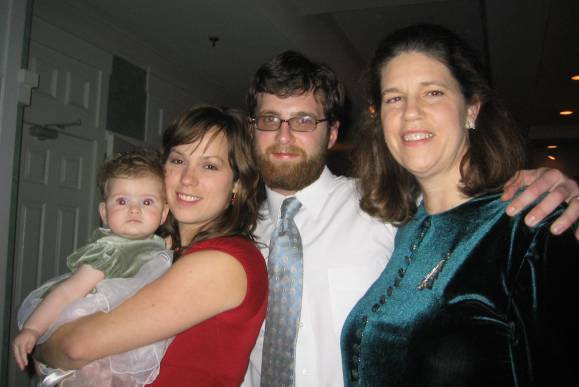 Kate holds her cousin Zara with her husband and mother in 2005 Katie first attended college at Warren Wilson in North Carolina, but later transfered to the University of Maryland where she graduated with a Bachelor's degree. Thereafter she worked as a women's rights activist and lived in California and Georgia before making her home in Arkansas. 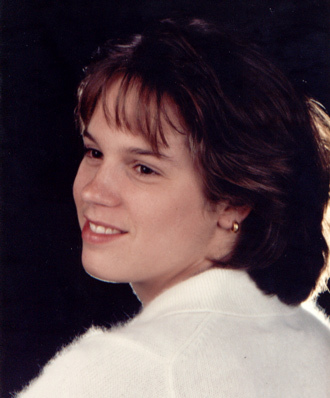 December 29th, 2004 saw Katie wed Arkansas native Howie Cockrill in Stevensville on Kent Island. They make their home in Berkeley, CA, while Kate is attended grad school at Berkeley. Her daughters were born in 2008 and 2011. Amy Christine Swan 1953 - ? Edwin Norman Cosby 19?? - ? Last Modified: 27 April 2011 by Bradley James Wogsland.